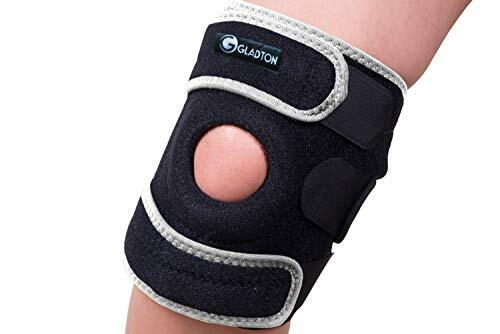 Wear our breathable, stretchy knee brace supports to add compression and stability to your knee as it heals following an injury, health condition or general wear and tear. 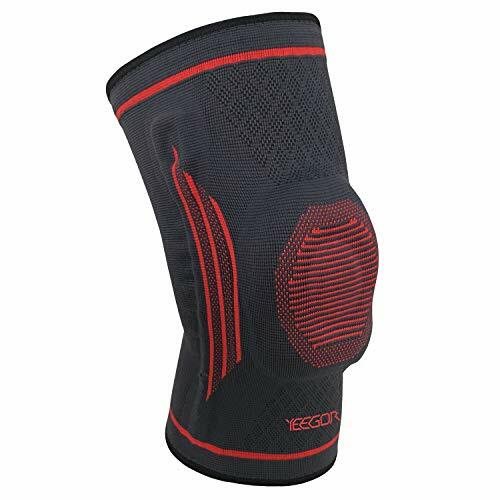 Ideal for a range of activities you can be comfortable in the knowledge that the additional support our knee compression sleeve brings will enable you to carry out your favorite activities, sports and hobbies. With 3 sizes to choose from, you can enjoy the comfort and structure of our knee brace support sleeves as you exercise. 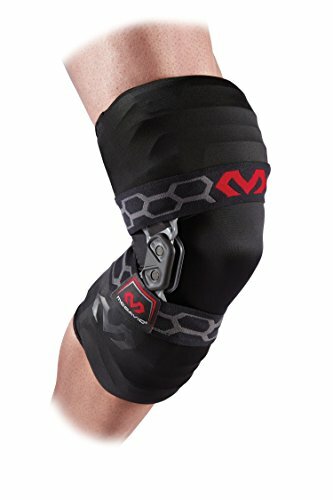 They are ideal for weightlifting, running, hiking, walking, step classes, exercise classes, at the gym, cycling, skateboarding, skiing, snowboarding, martial arts, dancing, baseball, football, soccer, hockey, wrestling, CrossFit, volleyball, skating, climbing, lacrosse, bodybuilding, horse riding and many more sports without restricting movement. To keep your knee compression sleeve looking like new we recommend handwashing in cold water with mild soap or liquid. Do not bleach. Air dry flat, do not tumble dry or dry clean as the structure of the fabric will dramatically change. Discontinue wearing if a rash or irritation occurs and consult your physician for advice. 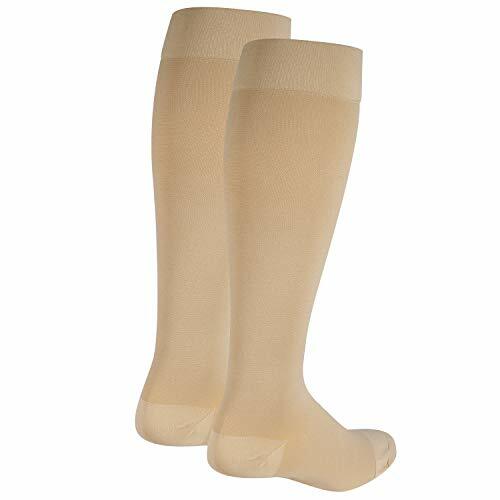 COMPRESSION SLEEVES FOR KNEES – injuries, sport accidents and wear and tear as we age can leave us with painful, weak knees which stop us from undertaking sports, exercise and favorite hobbies and activities. By wearing our knee compression sleeves, you are aiding a faster recovery. MULTIPLE SUPPORT FEATURES – each of our wide knee compression sleeve features a Patella Gel Pad on the kneecap to offer support and compression as well as silicone studs around the edges of the knee brace for a snug fit that doesn’t slip or move when you move. 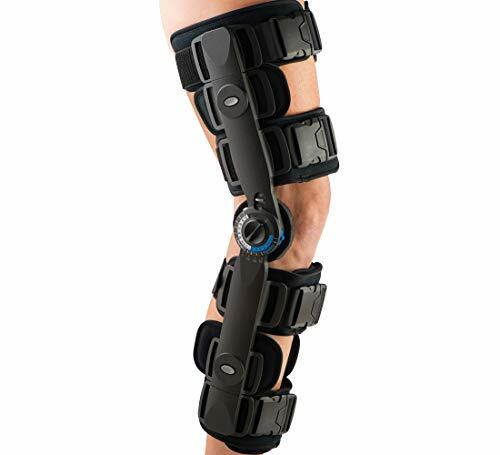 They offer an even pressure distribution both above and below the knee. 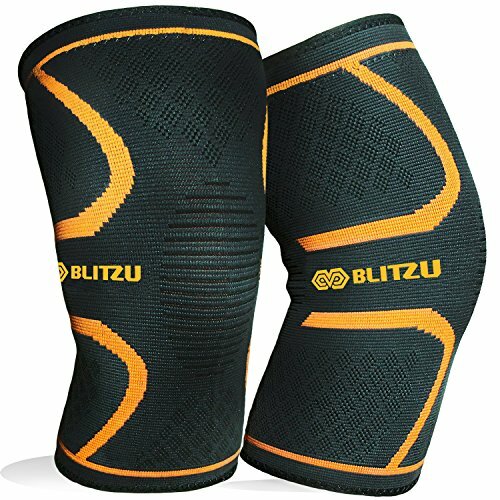 VERSATILE AND COMFORTABLE FOR A RANGE OF ACTIVITIES – you can wear our knee compression sleeve for running, CrossFit, yoga, Pilates, walking, soccer, basketball, volleyball, at work, on vacation, doing day to day chores, driving, shopping and more for reliable, tight fitting knee support. HIGH QUALITY AND FLEXIBLE – made from breathable neoprene fabric with spiral elastic weaving it is an anti-slip knee compression sleeve for running and other sports. 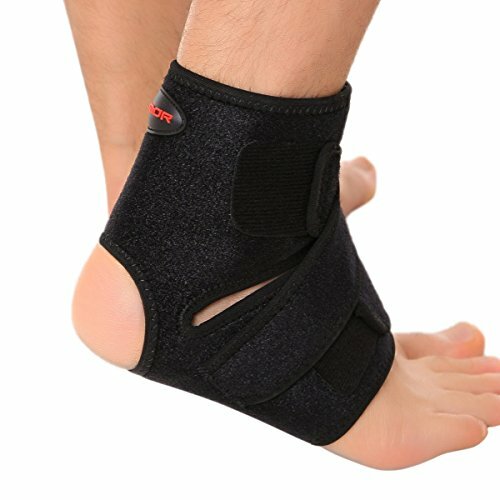 It is designed to reduce stress, swelling and inflammation so you can enjoy improved knee health in no time at all. 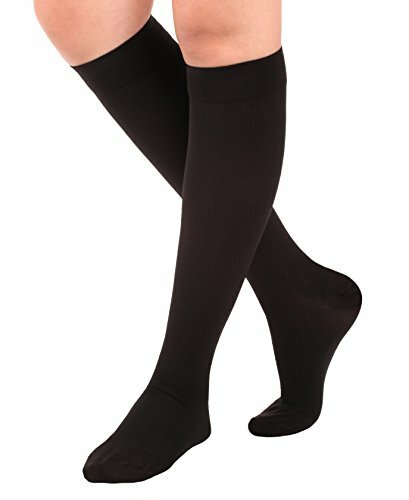 3 SIZES AVAILABLE – depending on your leg measurements you will need to choose between our 3 varying sizes for the most comfortable and beneficial fit. Small 14.5 to 17 inches, Medium; 17 to 19.5 inches and Large 19.5 to 22 inches.